Kirk Stange is a founding partner at Stange Law Firm, PC. Kirk has years of experience in family law and is a trained mediator, collaborative attorney, and guardian ad litem. 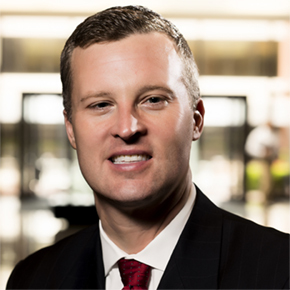 In addition to practicing law, Kirk spends time educating attorneys and other law professionals at CLE seminars through the National Business Institute, the Missouri Bar, and other organizations. In 2017, Kirk was recognized by the Missouri Bar for his “substantial contributions to the continuing legal education of Missouri's attorneys.” Further, in 2014, Kirk presented at the Eighth Circuit Judicial Conference in Omaha, Nebraska on social media evidence for lawyers and judges. Kirk earned his juris doctor from the University of Missouri - Columbia School of Law where he was a member of the Order of the Barristers. Kirk furthered his education by graduating from the ABA Family Law Trial Advocacy Institute in 2006. He is now licensed to practice in Missouri, Illinois, Kansas, and the United States District Court for the Eastern District of Missouri. Kirk authored a chapter in a book through Thomson Reuters (Aspatore Publishing) in 2012 titled: Strategies for Military Family Law: Leading Lawyers on Navigating Family Law in the Armed Forces (Inside the Minds). Kirk published a full-length book through Thomson Reuters (Aspatore Publishing) in 2014 titled: Prenuptial Agreements Line by Line. Further, in 2015, Kirk authored another chapter in a book through Thomson Reuters (Aspatore Published) titled: Strategies for Illinois Family Law: Leading Lawyers on Leveraging Alternative Dispute Resolution, Negotiating Alimony and Child Support, and Managing Client Expectations (Inside the Minds). Kirk is the President of the Missouri Collaborative Institute. At Maryville University, Kirk is on the national leadership council and the advisory council for Kids Rock Cancer. Kirk, along with his wife, Paola, received the 2015 Making a Difference Award and the 2016 Golden Plate Award from Old Newsboys. Old Newsboys is a non-profit organization that has raised millions of dollars for hundreds of area children's charities.